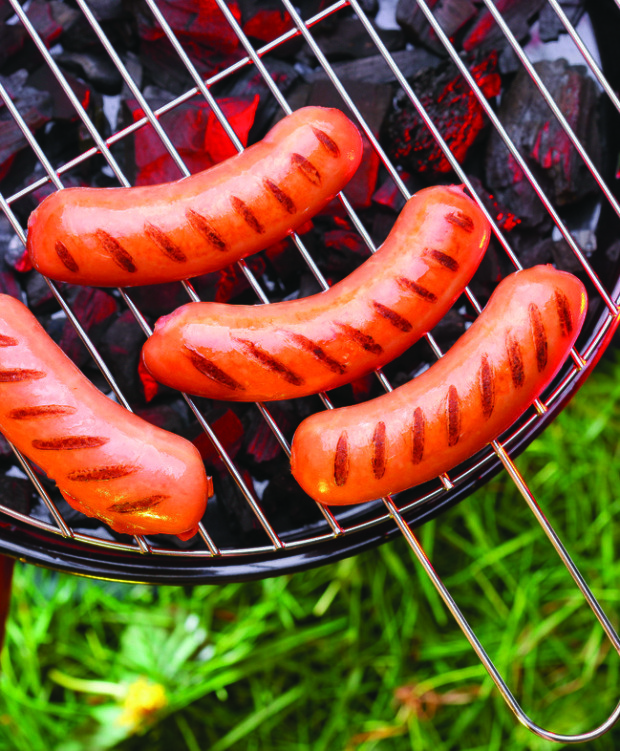 Grillmasters everywhere are gearing up for backyard barbecues! 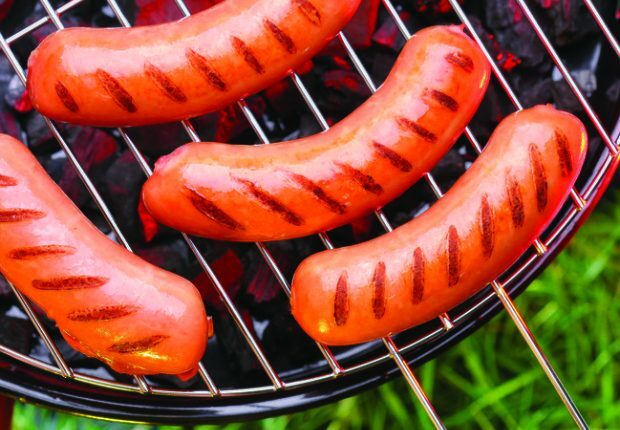 The experts at Pike Nurseries know that playing in the dirt can really work up an appetite, so after beautifying lawns and flowerbeds, gardeners can fire up the flavor with these outdoor grilling tips. Be prepared. The first step to any great project begins with the right tools. Before firing up the grill, ensure that everything needed is close at hand, including food, marinade, basting sauce, seasonings and equipment. Don’t have the right equipment? Visit Pike Nurseries for the perfect barbecue, including a top quality selection of grills, including the Kamado Joe Grill, which functions as a grill, smoker and oven all-in-one and the renowned Saber Grills complete with infrared technology that locks in juice. Check the fuel. If using a charcoal grill, light enough to form a bed of glowing coals that extends three inches larger on all sides than the surface area of the food you’re planning to cook. For clean-burning hot coals, Pike Nurseries experts recommend using Kamado Joe 100% Natural Lump Charcoal. If cooking on a gas grill, make sure the tank is at least one-third full. Preheat the grill to the perfect temperature. When grilling on high heat, it can be tricky to control the temperature for that perfect sear. To achieve the ideal crisp, signature charcoal flavor and grill marks, cook over a high heat of at least 500 degrees. Scrape it clean. Clean the grill grate twice; once after the grill is preheated and again when finished cooking. Use the edge of a metal spatula to scrape off food debris and a stiff, long-handled wire brush to finish scrubbing the grate. Grease it up. Some foods require oiling the grate just before placing the food on top. Using a pair of tongs, rub the grate evenly with a folded paper towel to help eliminate sticking. Just be careful to not get oil in the flames! Turn, don’t stab. The proper way to turn meat on a grill is with tongs or a spatula. Stabbing the meat drains its juices and causes it to dry out. Marinade at the right moment. Bastes and marinades with bases of oil and vinegar, citrus or yogurt can be brushed on meat throughout the cooking time. When using a sugar-based barbecue sauce, apply it toward the end of the cooking time. Keep it covered. When cooking larger cuts of meat and poultry, such as a whole chicken, leg of lamb or prime rib, use the indirect method of grilling and keep the grill tightly covered. While it’s tempting to check on the progress, every time the lid is lifted the cooking time increases by five to 10 minutes. Give it a rest. No matter what meat you grill – whether it is beef, steak or chicken – the final product will taste better if let to sit on the cutting board for a few minutes before serving. This allows the meat juices, driven to the center of a roast or steak by the searing heat of the grill, to return to the surface. Stay with the grill. Cooking on a grill is simple, but it also demands undivided attention. Once you start grilling something, stay with it until it’s cooked. Every good grill master needs to accompany perfectly-seared meat with fresh veggies and herbs! Growing your own in a backyard or container garden ensures that they are close at hand and consumed at the peak of freshness and flavor. Homegrown herbs are simple to grow and can be bundled to add pizzazz to any meat, fish or veggies that are on the grill. To make a basting brush with a bundle of herbs, select sturdy stalks that are 5-6 inches long, typically rosemary, thyme, oregano and sage. Strip the leaves from the lower 1/4 of the stems, tie them together in bundles with twine and brush over the meat while it cooks on the grill. As an added flavor bonus, savvy chefs can dip the bundles in barbecue sauce before brushing on the meat for an additional taste sensation. Vegetarian grill masters can also sear garden vegetables such as portobello mushrooms, zucchini, bell peppers and onions to create a fresh and delicious garden feast. For more information on homegrown grilling tips and products, please visit Pike Nurseries online at pikenursery.com/grilling. So what are you waiting for? With these outdoor grilling tips from Pike Nurseries, you are sure to be the envy of the neighborhood! Yum, I do love grilling out, that's for sure. My favorites are bratwursts and hot links. So delicious! Those 10 commandments of grilling are essential to fire up the flavor. I also love grilling. Good to know about those tips. I know I let myself try to do too much at once when I am grilling, which can definitely be problematic. So much can happen in a short period of time that it's essential that you be there. This looks so yum! The 6th point is very good to know my mom had troubles with the meat sometimes when grilling and now I know why! Oh great tips and I am feeling hungry after reading your post. I love grilling and grilled food. Agree with you ..we need patience while grilling. I love those "commandments of Grilling"! I'll have to let me Husband know about this as he's been wanting to do more BBQing this Summer! I love grilled peppers and carrots! Though I never tried growing my own veggies. Thank you for these tips. We did this and it turned out great. A surefire hit.